If you’re lucky enough to have a home with a lot of openness and a spacious floor plan, then you get to have a little more fun than most picking out your furniture pieces. 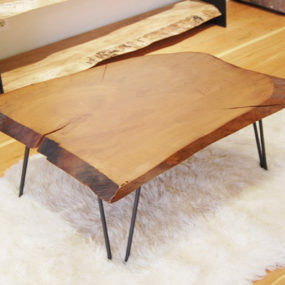 We’ve compiled a quick list of 15 large coffee tables for XL living rooms to swoon for. They combine style with function in the most seamless of ways – and we really love their “larger than life” design. Take a peek! Work brands starts us off with a round, modern design fit for more contemporary living rooms or formal sitting areas. It’s got a beautiful foundation for displaying artwork and we love its midcentury modern feel. Although, you can definitely style this piece to be more family friendly – all you need is a serving tray and a stack of magazine to get it started. For those who love naturally-cut wooden pieces – or at least those with rustic inspiration – than this setup from Amber Interiors will most certainly strike your fancy. This bench-like coffee table is bulky and provides quite the prescience inside this blue and camel-colored living room. We love how versatile and unique the design is, don’t you? 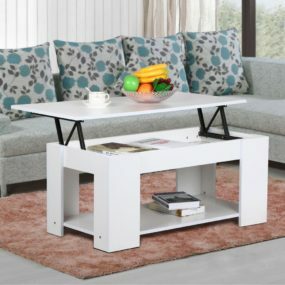 For more traditional lovers, this extra-large coffee table from MidCity East is for you! It’s got a more cottage-inspired quality to its bones but we love that casual essence. 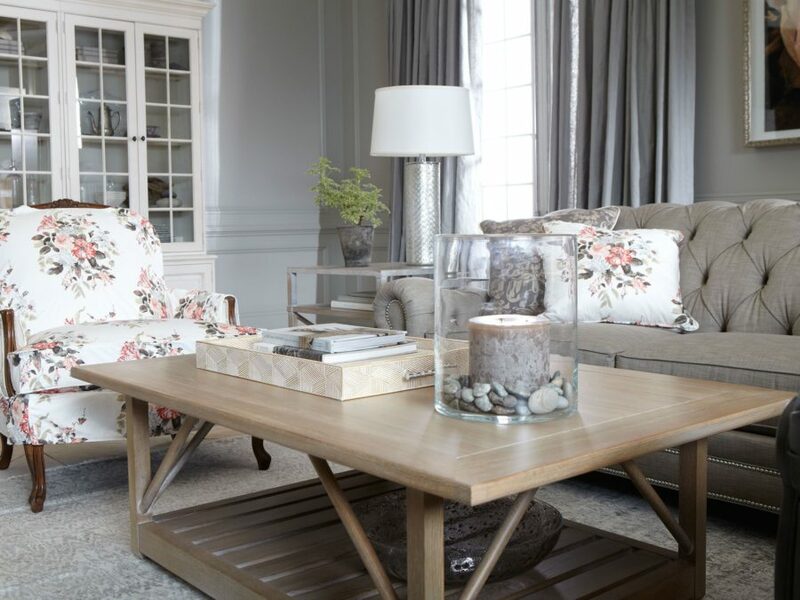 Style is with accents on top and below on its shelf, it’s a great addition to family room. 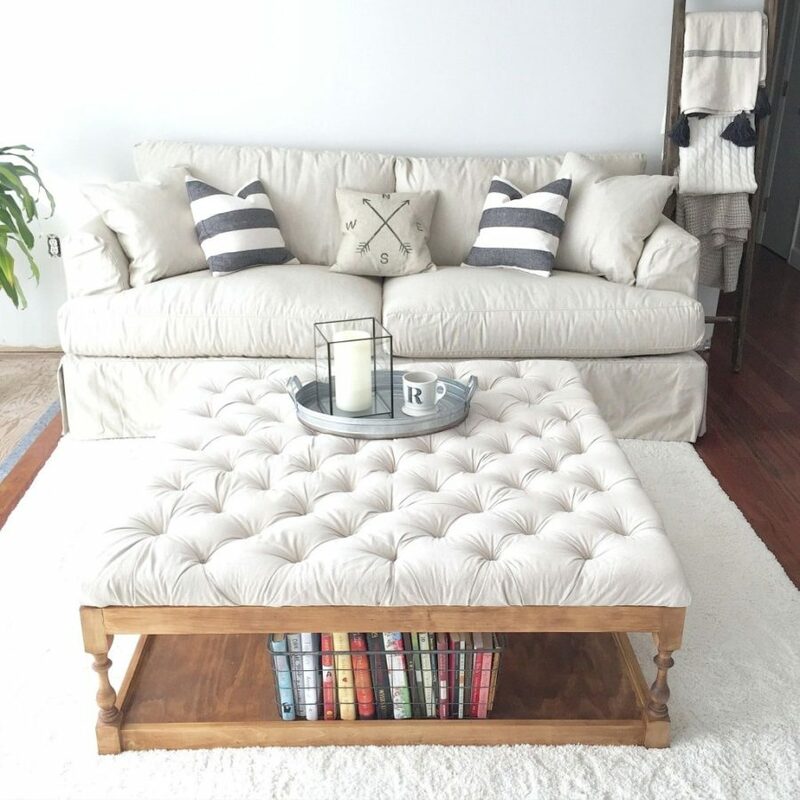 This tufted piece is an easy DIY project to dive into. Of course, you can serve the web and the stores for your own “perfect” design or you can do like we did, scour Pinterest for the perfect tutorial to follow. We love the finished product behind this girlishly charming accent. 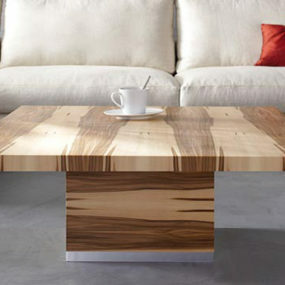 You don’t necessarily have to find one “extra-large” coffee table to get that larger than life feeling. Instead, you can take notes from Liz Marie and create your own! 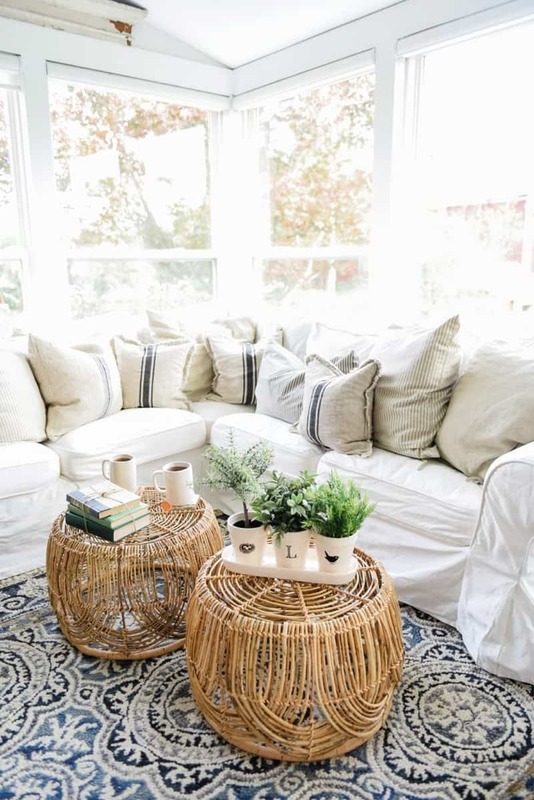 Grab two large wicker baskets and flip them over. 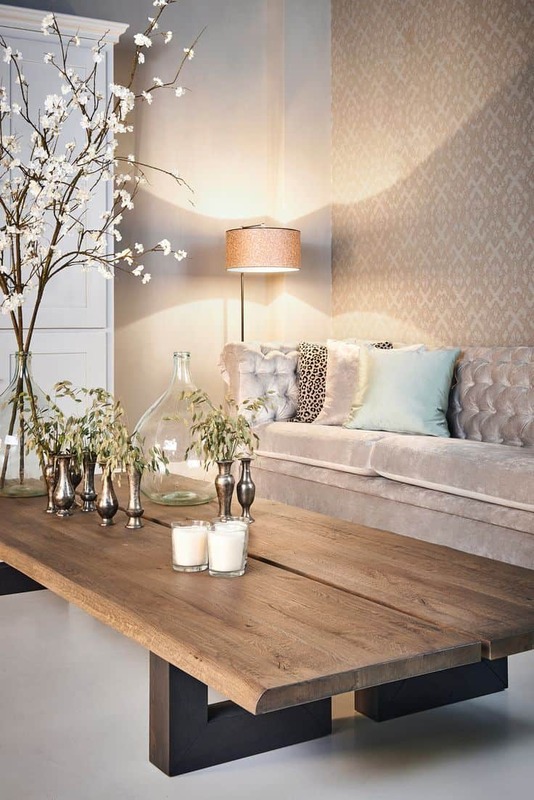 And there you have it, a bigger space for you to rock your coffee table accents in both style and texture. Acrylic designs are always a great route to take as well, because they fit in nearly everything interior design genre. 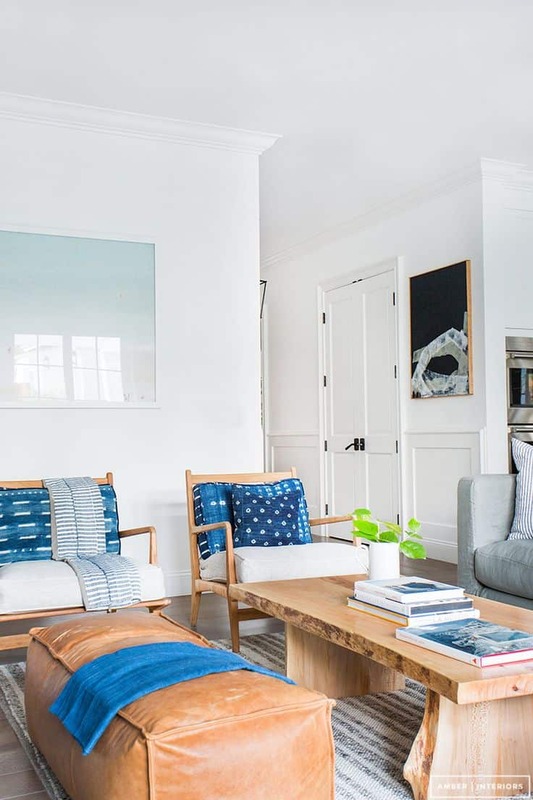 From contemporary to modern art, Architectural Digest shows us just how they fit inside a masculine-touched home office filled with artistic flair and traditional nuances. 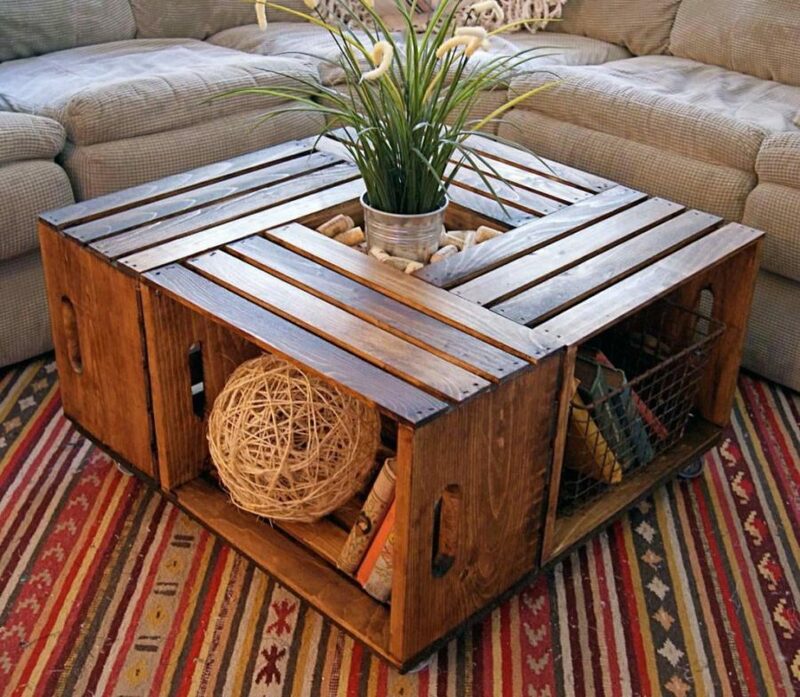 Similar to the wicker baskets above, you can utilize several different coffee tables and create one “extra-large” design. My Domaine showed off this drum trio and we love its innovation! It too is very versatile among the present-day trends and can help fill in excess area in the living room. Wooden pieces are fun too, whether they’re cut with artistic value or left in a more natural state. And this low, large piece shown off on Carla Aston is a definitely favorite. Place it inside more trendy or farmhouse-inspired spaces with ease. Studio McGee worked with a minimalistic design that caught our eyes. We love the wood top paired with the black legs – it’s a classic contrast. 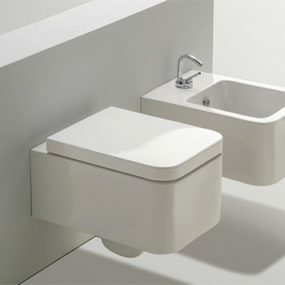 But the square, simple design also makes for an easy transition between interior design genres as well. Traditional, contemporary or even a bit of vintage flavor, will all be easily styled around this piece. 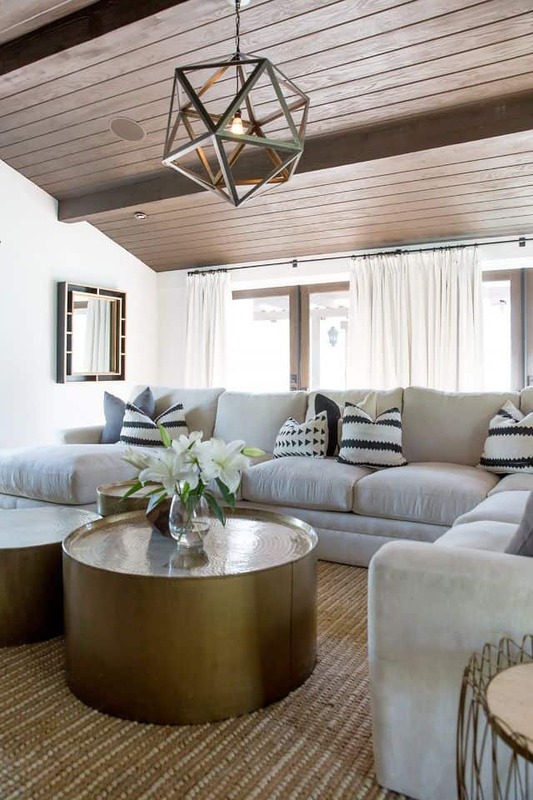 If you’re looking to create a more glam living room, then you’ll definitely want to check out this space from Houzz. In particular, look at its focal piece. A large, mirrored coffee table that played with the natural lighting in a way that makes the center of the room sparkle and shine. Simple to one of the simpler designs above, this one has a more country, DIY vibe surrounding it. In fact, you can easily fashion a DIY project around its bones. 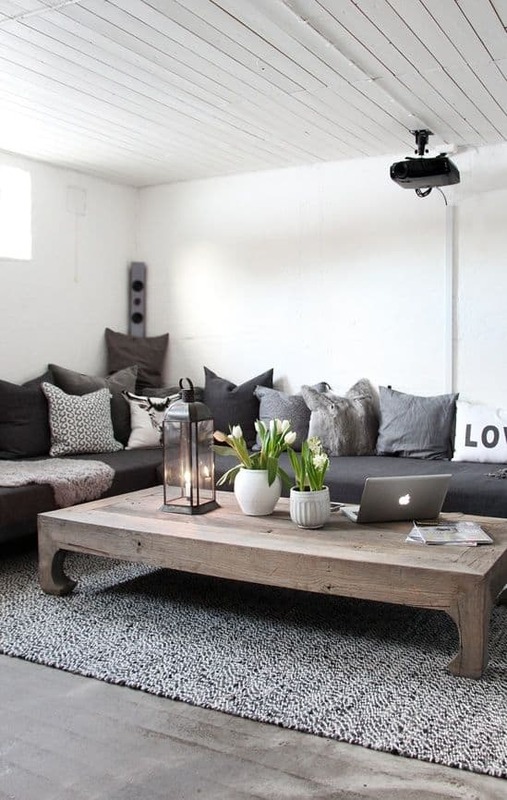 Just check out AKA Design for inspiration surrounding this coffee table and this room. 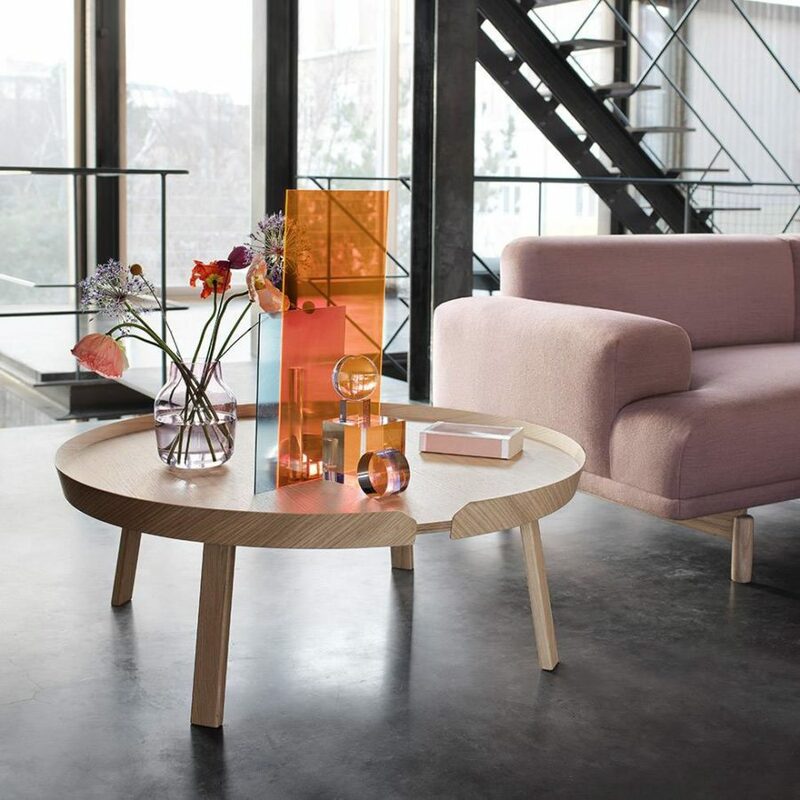 Another coffee table that’s both bigger than what we’re used to seeing in traditional homes – it’s even got storage – as well as a bit more glamorous than what our families would normally choose. 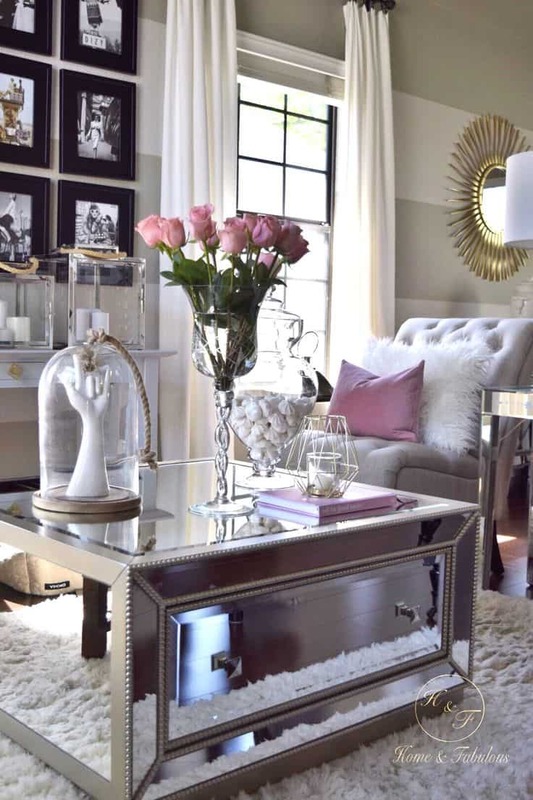 Home & Fabulous featured this beautiful styled design and we instantly fell in love. We love the mirrored edges and the function built right into the body. Here’s another wooden piece that’s been made with contemporary style in mind. Large and low, it’s got an Asian-inspired spirit that works for spaces with a more subdued vision in mind. 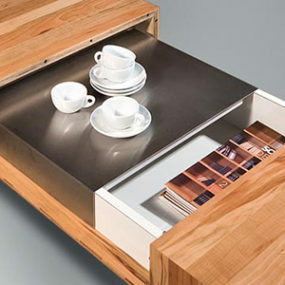 This design from home deco has ample space for accessorizing and organizing as well. 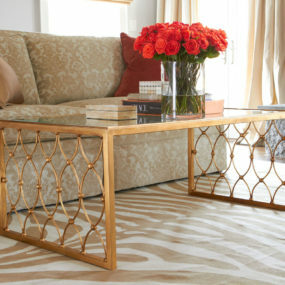 Another tufted beauty and this time from Elle, we love how this design brings in a bout of color. 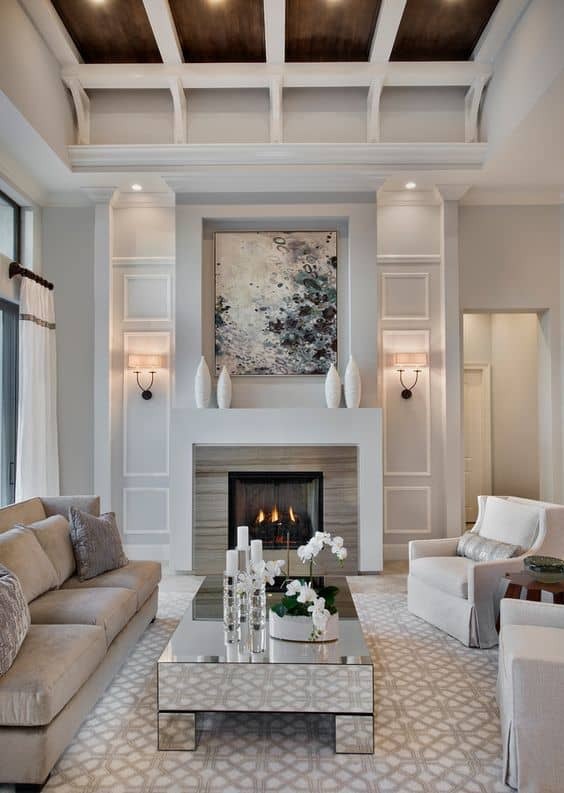 The blush tones accent the neutrals surrounding it in a lovely, elegant way. 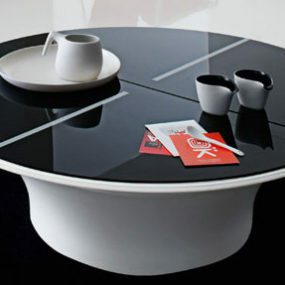 And it’s easily styled on top, with a large charger or serving tray to get started. Finally, we have a DIY idea found on Pinterest that we found rather fascinating. If you can’t find the perfect piece – just make it! 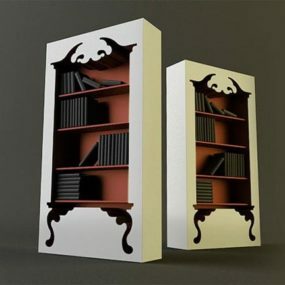 All you need to get this kind of design started are a few wooden creates. 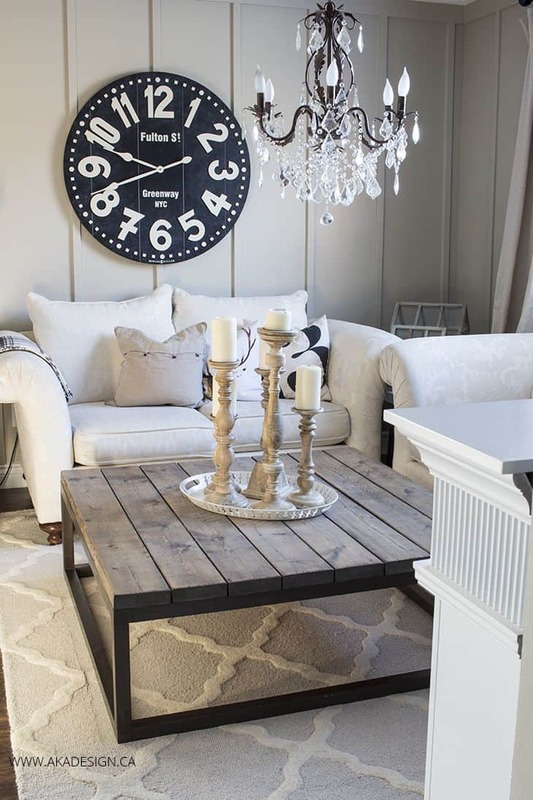 It’s a great idea for those going with a farmhouse inspiration.